Fitness flexibility is the amount of natural flexibility you need for the normal tasks and activities you do during the course of your life. To be fit in a general sense is to have all the functional capacity you need for normal living. The limitations imposed on you primarily by joint pain stiffness is what I will focus on. Flexibility exercise, nutrition, and supplementation are factors you will use to your advantage. 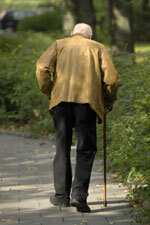 Let’s look at causes and remedies for age related loss of flexibility. Why Do You Lose Flexibility with Age? There are several factors that reduce your fitness flexibility as you age. With aging comes changes in tissues, and a loss of elasticity in the connective tissues due to injury, cross-linking, joint pain, and negative changes to your nervous system. With that in mind, let’s address these issues one by one. Cross-linking is a natural consequence of aging that can be slowed down but not completely stopped. It is a chemical process at the molecular that causes bonding of the proteins in connective tissue reducing your fitness flexibility. There is an experimental compound that can reverse the damage of collagen cross-linked proteins. This compound is called an AGE breaker. There are other nutritional and nutraceutical items that can be helpful in relieving joint pain. They fall into the class of enzymes, which break down proteins and also have anti-inflammatory properties. Examples of these proteolytic enzymes are Serrapeptase and Bromelain. Proper use of food based and supplementary proteolytic enzymes can help control inflammation and relieve joint pain stiffness without the toxicity of anti-inflammatory drugs. Eating according to blood type diet principles can help prevent joint pain and the stiffness it causes, by avoiding foods, which have negative interactions with your immune system. This alone can be a very effective way to maintain fitness flexibility and keep yourself pain free as you age. Fibrous adhesions are internal scar tissue that results from injury/trauma and forms in such a way that it restricts natural movement of the tissues. These adhesions can be broken up with intense forms of sports massage and deep tissue therapy. Stretching or is an important component of your antiaging program. It cannot reverse cross linking or combat inflammation, but you can train your nervous system to allow your muscles to relax and allow for more ease of movement. Flexibility exercise is really nothing more than learning to relax at your maximum muscle length. This helps alleviate joint pain stiffness, improves body posture, and helps prevent muscle tightness due to adaptive shortening. The nervous system has a dramatic effect on your flexibility, because it controls your muscles and thus your ability to relax. Adherence to sound nutritional principles and ensuring that you get the nutrients you need on a daily basis is vital for maximizing the performance of your nervous system. A nervous system that is deteriorating affects both the brain and body adversely and so you need to treat any signs of nervous system distress very seriously. To maintain fitness flexibility through all your years, just keep the following principles in mind. By following these principles you will be able to avoid much of the pain, inflammation, and the stiffness it causes, and maintain a high degree of fitness flexibility all throughout your life.